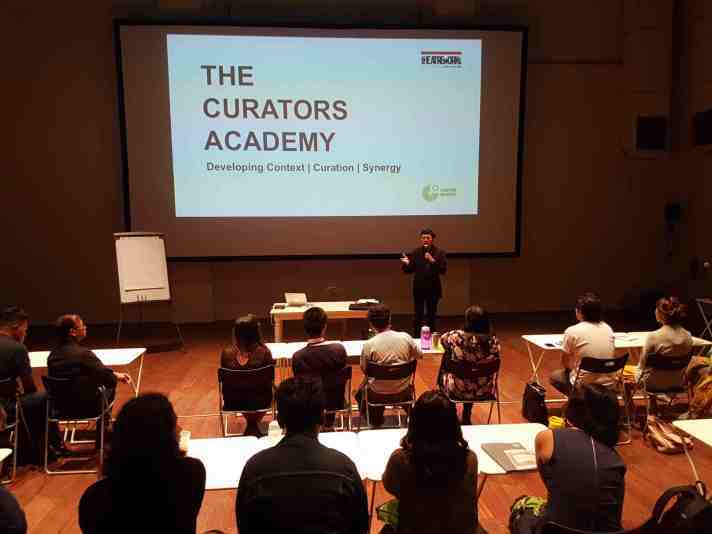 I sat down with Ong Keng Sen after the conclusion of the first edition of the Curators Academy, which ran from 24 to 28 January. 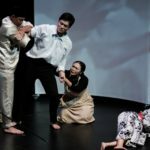 Organised by TheatreWorks, the academy sought to establish a platform where aspiring curators from across Southeast Asia could come together for a series of intensive workshops, discussions, talks and performances. 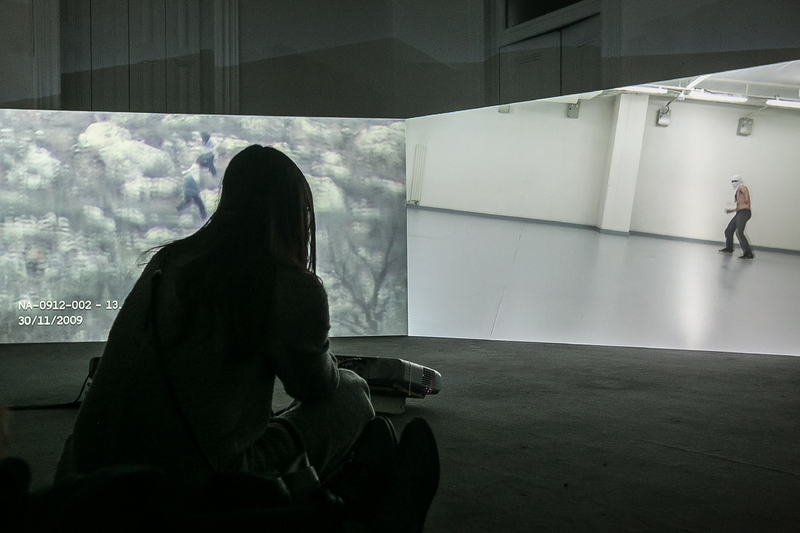 As academy director, Ong’s focus is on the interdisciplinary and what he describes as “expanded performance”, and on developing processes that help curators to interrogate the contexts they come from. This first cycle of selected participants are now working on proposals for projects to be funded for the next stage of the academy, where it is likely that three projects will be given US$10,000 for further development. We spoke just before Ong, also the previous director of the rebooted Singapore International Festival of Arts (SIFA), flew back to New York to complete his PhD at New York University. Together we discussed the gaps in curating performance in Singapore; what it means to respond to the demands of a local context; insularity and education in curatorship; how SIFA is a “victim” of Singapore’s political correctness and expediency; and how rethinking what it means to get audiences and citizens actively engaged in performance can counter the perennial question of whether the Singaporean arts calendar is saturated. Corrie Tan (CT): I wanted to take stock of what has just happened at the Curators Academy. 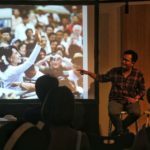 You brought 30 people here, 20 participants plus 10 [part of the PROcess ARTeries think-tank] – what have you observed of the curatorial practice of Southeast Asia, and have you noticed any strengths in their coming together? Is there a sense of any gaps we need to fill? Ong Keng Sen (OKS): We started off by saying that this is not to teach curating skills, and also that we try not to have a very fixed approach as to who is a curator. One of the things that I said was, a curator is someone who wants to do something in and with a community. When you work with a community, you choose what should be brought to the forefront, and what’s in the background, and what’s not important at all. Because of that, it was very clear that we should not be thinking of curating a festival or curating x or y, but more like a proposal to make something, and what could that ‘something’ be? In that sense, it’s not a typical ‘curating a festival’ approach, or a ‘curating a programme’ approach. I said, let’s not try to teach ‘x, y, z’, but let’s try to inculcate an attitude. CT: You’ve done work in Southeast Asia for a long time with the Flying Circus Project. 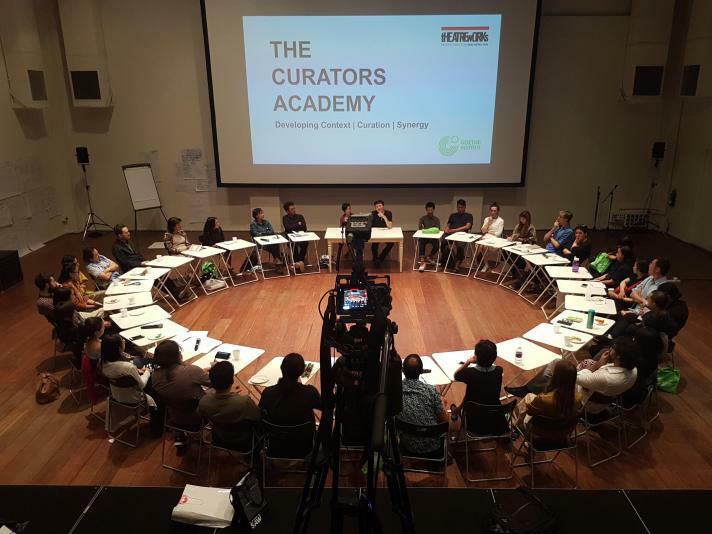 The Curators Academy felt like a very intensive exchange within Southeast Asia, looking at a regional practice with Singapore as a part of that practice. 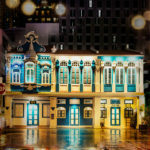 I feel that very often Singapore tends to see itself as part of Southeast Asia, but also put distance between itself and the rest of the region or “imagined community”, as it were. How do you see Singapore interacting with Southeast Asia more, being more connected to it? OKS: We try to have aspiring curators from the region because we believe there’s a lot of peer sharing that should be happening. It’s not a vertical transfer of knowledge up or down between trainers and aspiring curators – there’s also transversal sharing. And it’s interesting that you say that Singapore perceives itself as different from the rest of Southeast Asia, because we had no applicants selected from Singapore. That’s quite telling. There were about 50+ applicants from which we chose 20, and the other 10 were invited so they didn’t apply. From Indonesia we had 20 applicants, and from Singapore we had three or four, and most of them were not really in performance, they were in visual arts. It was quite clear that there wasn’t a suitable candidate from Singapore. We are looking at interdisciplinary work, including expanded performance, but we’re not really looking at museum or gallery curatorship. CT: I know you’re looking at this as a larger, regional practice, but being Singaporean, I also wonder about what gaps we have here that could be plugged by having practitioners participate in something like this. Or have we not cultivated this group of people yet? OKS: I think that in Singapore there’s very much a ‘niche-ing’ of the performing arts scene. 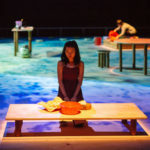 There’s a feeling that The Necessary Stage is doing this, the Singapore Repertory Theatre is doing that, TheatreWorks is doing something else, and it’s almost like you don’t have to curate because we stay within our boxes and within the kind of art that we do. It’s just like the C-M-I-O*. I think that’s how Singapore has preserved its ability to be different and also be together. The different arts groups are very inclusive, but they each draw a cluster of people who prefers, let’s say, more text-based work, or more body work, or more visual, experiential work. The clusters that develop around these companies are following these very natural lines of preferences. Of course, there are individuals who move between these companies. But I would say that the Singapore scene is quite separated. 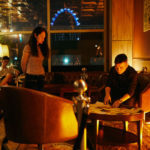 CT: So how could a curator looking at this sort of expanded practice move between boundaries, how could that become more of a movement in Singapore? OKS: In one of the classes by Sigrid [Gareis], she pointed out seven urgencies happening in arts institutions in Europe today. Things like institutional reform, transparency, transdisciplinarity, transculturality. In the next stage, the participants were asked to map their local experiences: what were the urgencies in each of their cities? The next class went into best-practice institutions. Many of them first talked about their own institutions, because most of them are rewriting national institutions, or their own independent agencies, or their own communities are rewriting national dance, for example. The second was asking them to track the best-practice institution in their locality and context, and the third was then to ask them to imagine a ‘fantastic’ institution who would be able to counter some of the difficulties in their local contexts. [But] I think most of our practitioners are thinking about how to manage their grants, how to achieve their grants, how to write their grants for the next year – Singapore politics has created individuals in Singapore where we play within the boundaries. We don’t question the boundary. CT: A lot of these companies might be stuck within these confines because it is very difficult for them to break out of it. For the moment, we are incredibly reliant on state funding. There are some who perhaps can go beyond state funding with private funding. How can we negotiate these things? OKS: You have to see yourself as being a player in a larger field. If you feel you are just dependent on your parent giving you a grant or pocket money, then you are not going to feel the need to become resourceful and to look outside. That’s why I think there’s a lack of searching in our Singaporean practitioners. They feel they are playing by the rules to make sure that they can excel within the rules, but I think that Singaporeans have to realise that they have to question their rules and expand their own fields beyond their parents’ funding. If you can get a part-time job, you have much more resources than just relying on pocket money, for example. People have said to me, “But Keng Sen, you can do it because you have the resources.” No, I don’t have the resources. I still have to search for the resources. And I have to abandon certain resources. I have to make a choice of what’s of value. CT: But TheatreWorks and SIFA still also rely on state funding. I know you have struggled in SIFA with the conditions that come with funding, the censorship of certain pieces, and you have spoken extensively about this. But one might argue that the artist does indeed deserve to be funded by the state, it’s the artist’s livelihood, they are doing a service to the country and its people, and they deserve to be funded. How do you balance those tensions? OKS: I think you first have to expand your resources. You begin to look for regional funding. You begin to think beyond ‘what does the government want?’ It means keeping your nose to the ground and believing in what you’re doing. It’s about having a larger view of what’s around you. That’s why I also feel like there were very few applicants applying to be in the Curators Academy [from Singapore], because the curator is about the larger view, not just excelling in the compartment that you’ve been put into. CT: I want to address that as well, because when you think about curating, often that role overlaps with programming here. You spoke in another interview about the curator as the mediator or the bridge identifying the gaps between the artist and the audience, and connecting the artist and the audience. A lot of Singaporeans often purchase tickets to work that they feel has been validated by a framework they are familiar with: Broadway, the West End, etc. – how can the curator then expand the idea of performance as not just being these tried-and-tested successes? I feel like a lot of large spaces in Singapore often programme names that people already know. How can we diversify this? OKS: I think the role of the curator is very often to introduce and place in context, and also to educate the public. One of the problems is that curators in Singapore are mostly programmers forced to toe their institutional line. If a national institution says, for example, “this year, let’s not do any LGBT art, because we’ve been doing so much of it last year and, anyway, this is something which, after the Pink Dot situation, this national institution should not be seen as promoting,” the programmers would then have to toe the line. I think what’s happening here is that curators are institutionalised, and curators are not independent thinkers. And because they are not independent thinkers, they can’t educate the public. I think it is very shocking that many curators in Singapore are unable to write a paper about why they’ve chosen a particular work. That means you have curators who are uneducated. Then why do we listen to them? Why should we see what they have selected for us? Maybe that’s what is also very difficult about curating, that you need to win trust, and you very often need to put your knowledge on the line. You can’t just say, “This is great, I think this is beautiful dance.” What do you mean, “this is beautiful dance”? That’s where I feel like most people think that curating is beyond them, because you really have to be able to articulate about the work itself. You have to not only be opinionated, but the opinion has to be supported. And the opinion is supported not just as an argument, but it’s historicised and also looking at developments from parallel contexts. It’s a very, very broad perspective. What are the tensions between the local and the international? Beyond the aesthetics, what are the ethics we need to be looking at? Maybe that’s what is also very difficult about curating, that you need to win trust, and you very often need to put your knowledge on the line. You can’t just say, ‘This is great, I think this is beautiful dance’. What do you mean, ‘this is beautiful dance’? That’s where I feel like most people think that curating is beyond them, because you really have to be able to articulate about the work itself. You have to not only be opinionated, but the opinion has to be supported. And the opinion is supported not just as an argument, but it’s historicised and also looking at developments from parallel contexts. It’s a very, very broad perspective. What are the tensions between the local and the international? Beyond the aesthetics, what are the ethics we need to be looking at? CT: Speaking of the ethics of the curator, one thing that’s struck me is the role of the curator as humanitarian advocate. Let’s say the refugee crisis in Europe, or the one closer to home in Myanmar and Bangladesh. I was trying to think of performances I’d seen recently that directly grapple with these stakes. 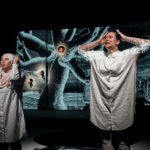 I thought of Arkadi Zaides’ work [at the Curators Academy], which looks at a difficult territorial conflict, and another work at the M1 Singapore Fringe Festival which looks at immigrants to Canada. Do you think the curator, in this larger context, also has to take on the role of the humanitarian advocate? OKS: Of course. A performance to me is also about the performance of the audience. What is the agency of the audience? How do we perform in our daily lives? By that I don’t mean performing a lecture, but how do we perform our role as a human being involved in public justice, for example? The Curators Academy would be very interested in someone like Jolovan [Wham], and what he’s doing with the MRT performance. That for me is about curating performance in daily life, and not just what you see in a dance concert or an orchestra. You’re looking at public life and public space. You’re trying to see what is the agency of the audience or of the public in the public space. How do we share the public space? CT: I was thinking of a separate question, but I think you’ve answered that as well. 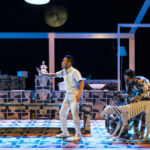 There’s been a lot of talk about how the Singaporean [arts] calendar is very saturated, and how everyone is fighting for audience members, or not developing audiences quickly enough. But I suppose if you think of the performance of everyday life, or the performance of protest in everyday life, as something that’s integral to everyone, then performance becomes necessary, then everyone is an audience member. Then we’re not just jostling for the same group of people to buy tickets, because everyone is a participant when we’re looking at things like social justice. OKS: Then we also begin to understand that we shouldn’t just be thinking of making plays. We shouldn’t just be thinking of making dances. If you think about saturation, the saturation happens if you’re only thinking about how to bring people into the auditorium. I think our role as an artist in a context, our role as a curator in a context, is to activate all these other spaces as well. Because then you’ll find that yes, you don’t fulfil the National Arts Council KPIs [key performance indicators], for example, because you’re not bringing in audiences who are paying to see a show. But you are activating public justice, you are activating humanitarian consciousness, etc. That, for me, is very central to rethinking curatorship. CT: How do you then measure how successful your event is? It’s very hard in Singapore to move away from the idea of a KPI, because groups and artists need funding, and it becomes a chicken and egg situation. I’m sure that was something you also had to deal with in SIFA as well. OKS: I think I was very insistent on looking at something like Art+ or Aesthetics+ or Politics+. I’m always interested in this ‘plus factor’, of going beyond. It’s about creating an entire consciousness, a public space, and not just bringing in the best dance. 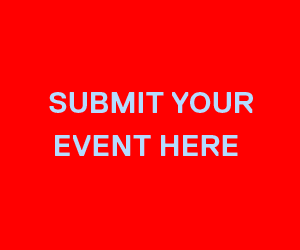 Just because you bring in a Pina Bausch – are you a dance festival? Should dance festivals just be concentrating on dance, or should they move beyond dance? It’s about an urgency that’s needed in our different cities, and it’s about a certain kind of mission. It’s not just about what’s convenient for this year’s season. I think that’s where the Curators Academy is trying to create curators with a certain belief, and not just curators who are curating for this season. It’s about creating an entire consciousness, a public space, and not just bringing in the best dance. Just because you bring in a Pina Bausch – are you a dance festival? Should dance festivals just be concentrating on dance, or should they move beyond dance? It’s about an urgency that’s needed in our different cities, and it’s about a certain kind of mission. It’s not just about what’s convenient for this year’s season. I think that’s where the Curators Academy is trying to create curators with a certain belief, and not just curators who are curating for this season. CT: I think, for now, that a lot of programmers may have to conform to the many institutions that Singapore has. But is there any way they can break out of it? Because if they can’t take part in something like this, then how do they reshape the context they are in? OKS: I think practitioners have to realise that in Singapore we are funded, and we are rich, but what we are doing has nothing to do with the outside world. 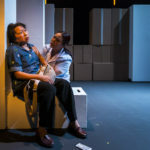 That’s something that has happened through the way the National Arts Council and funding works in Singapore, where it’s really about looking at the locality in such an insular way, where you’re funded if you play within the boundaries. It’s about what’s happening around the region, but also what’s happening in the UK and Europe and America, and we have affinities across national boundaries. I feel like this broadening of perspectives is also a choice. Some people don’t feel a need to leave Singapore because they’re quite happy here. But if you feel the limitation of being in Singapore, you’re probably trying to find affinities abroad. Your entry point to those affinities could be through a university, through an internship, through practicing the arts overseas, but once you get into this peer community, you then realise that there is funding which cuts across national borders. I think it’s also because we’re not very humanitarian here, unless we’re told “please donate to NKF,” for example. There’s very little consciousness. How many people will focus on what is happening in Syria? Even myself – am I responding to it daily? No, not really. I think it’s a kind of developing an attitude, developing a kind of world view, and developing a sense of affinities – that you are not alone. CT: I was thinking about the Curators Academy as this project of developing people’s abilities to really interrogate their context in the world, not just seeing being a curator as a career, but as something that could also develop social justice. And I was also curious about you personally, since you’ve just finished your tenure as SIFA artistic director. 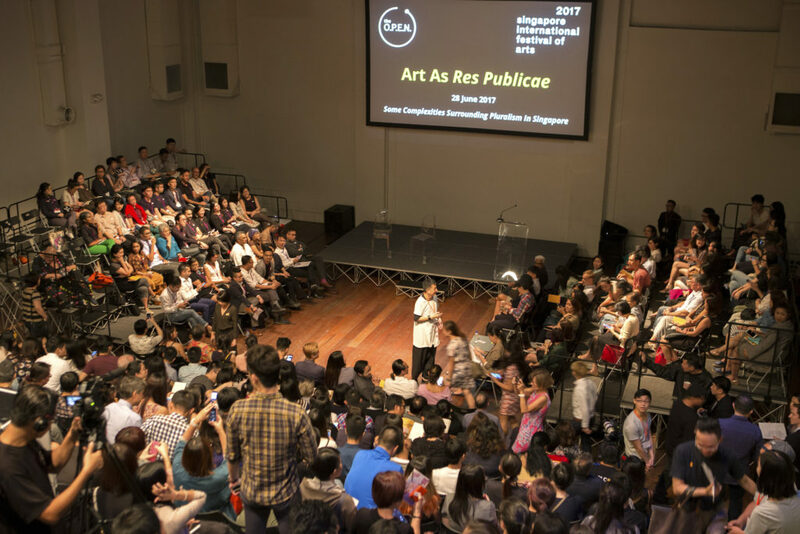 The Curators Academy to me felt like a response to what you went through, you as a curator trying to put this festival together, and realising what gaps needed to be filled in Singapore. OKS: I think once you are a curator of a national festival, you leave behind your own work. Because you have to make a festival for more than your own audience. Because of that, you’re naturally involved in connecting, and you begin to realise that you have to bring this audience out their cluster to meet that audience. This was a very big part of running SIFA. I think the realisation was that as an artist, you are working within your closed group, and when you are beginning to think of a national festival, you’re forced to work out of that bubble. You’re forced to then think about, ok, I can’t do plays in my studio, I have to go to HDB houses to do things, I have to do things in kitchens. I think once you are a curator of a national festival, you leave behind your own work. Because you have to make a festival for more than your own audience. Because of that, you’re naturally involved in connecting, and you begin to realise that you have to bring this audience out their cluster to meet that audience. I have to thank SIFA for bringing me out of my own little context, and to see that actually SIFA was responding to whatever was lacking in Singapore, that Singapore was such a top-down culture, that to have ownership we had to create projects like Art as Res Publicae – all these were essential ways in which we encounter and face the lack in what’s deficient in our society. You curate to try to bridge that. You curate to educate the public, and also to build ownership. Only with education can they own it. Curators are not separate groups of people. We are also the public. Only when we go through an educational process, then we begin to own something. We begin to fall in love with something. We begin to say, this is value of me. So that whole journey, it really moves you out of your own field. CT: Now with some distance from your final edition, it’s interesting that you were first to come in and set your own tone for it. But there’s a renewal with each tenure, and the festival will change. What do you think should also remain in the festival and the way it speaks to the national consciousness? Naturally, the vision of each director will be different, but there has to be something about the identity of the festival that makes it recognisable in the calendar every year. OKS: I have to say that I question the criteria of renewal. You could say that one of the criteria is “how do you keep the pillars of the arts festival?” Because no matter how it changes, there are some core pillars. Is the core pillar just to entertain, or is the core pillar to build an open society? I think that the criteria have to be interrogated more. You’re developing certain core values after four or five years [of the festival], and you can’t say that every time [there’s renewal] you’ll just wipe the slate clean. I think the core values were put forward in the review committee that was brought together ­– that’s a public document. These core values had a very strong educational perspective. So, I don’t think that the core value of the festival is just to entertain. There is much more at stake. The first criterion is, how do you continue the legacy of the festival, the core values? The second is, what are the new innovations which you think are necessary? And the third is, how would you expand the audiences beyond the arts audiences? These are the criteria which I would like to see being proposed for the succession and for the continuity of the festival, so you don’t just switch every year. I think the reason why this is happening is because Singapore has no knowledge or respect for curating. Singapore is a very expedient society. We just go with where the political correctness is now – that’s what I mean by expedient. The festival would continue to be a victim to that expediency. Let’s say the present thing is all about ‘community outreach’, so it swings to ‘community outreach’. Maybe the past was about ‘renaissance city’, so it swings to ‘renaissance city’. If it’s really about ‘community outreach’, then where are our experts? We are not having enough expertise being brought to the fore. We think ‘community outreach’ is having karaoke or graffiti painting as a collective project. Is that really building community? Is that really a kind of stimulation or provocation of community integrities, beyond having a good time together? I think the reason why this is happening is because Singapore has no knowledge or respect for curating. Singapore is a very expedient society. We just go with where the political correctness is now – that’s what I mean by expedient. The festival would continue to be a victim to that expediency. […] We are not having enough expertise being brought to the fore. We think ‘community outreach’ is having karaoke or graffiti painting as a collective project. Is that really building community? Is that really a kind of stimulation or provocation of community integrities, beyond having a good time together? CT: I can see what you’re trying to look at in the Curators Academy, where you’re trying to shape people who can navigate these difficult demands – how do you work in the community, how do you bring in difficult work that’s necessary? I suppose this is the start of a six-year ‘figuring out’. OKS: I think it’s about building an awareness that this is necessary. In Singapore where things are being done expediently, sometimes there is no awareness that actually we should have done something in a completely different way. Because it’s just like, “oh, this work should not be shown, let’s black it out, let’s remove it from the exhibition.” It’s this kind of expedient solution, rather than thinking of, “wait, what if it stays, how can we negotiate this, how can we turn this complexity into a discussion point?” So that education happens, and not that we just black it out and remove it from the space. When you just remove something like that, you are actually compounding the issues rather than negotiating through education. You have a knee-jerk response, and that knee-jerk response is a lack of awareness. That’s why I think curating is maybe not understood at all in a country like Singapore, where selection is done based on political correctness and expediency, rather than the larger knowledge that the populace needs. OKS: I think many people immediately thought, “oh, this is not for me.” Then when they saw the programme they realised, “oh, this is interesting for me.” I was asked, why do you want to call it an academy? And I said we need to call it an ‘academy’ to give it a seriousness, that it’s not just a workshop. It’s almost like a graduate programme. And then I insisted on calling it ‘curators’ because I believe that it’s a skill that needs to be focused and developed. We can’t side-step it, exactly because we don’t have any reflection of who’s selecting the work [in Singapore]. That’s why we’re getting, quite often, the usual work. All our carnivals, all our night festivals, all our light festivals – many people have said that they all look the same after a while. That’s because our curators are not being interrogated: why do you constantly choose this, why don’t you choose something else? The scene actually suffers, because a lot of interesting art slips through the cracks. All our carnivals, all our night festivals, all our light festivals – many people have said that they all look the same after a while. That’s because our curators are not being interrogated: why do you constantly choose this, why don’t you choose something else? The scene actually suffers, because a lot of interesting art slips through the cracks. CT: It made me think about Linda Mayasari’s presentation at the Curators Academy: what structures does a curator inherit when they take over a festival or institution? Then really having to interrogate it: what is, actually, the identity of this institution? What does it stand for? Then also facing friction from other artists over the identity of Cemeti and the Indonesian Dance Festival. OKS: I think it’s very interesting, that whole dance festival experience, because it’s very clear the kind of territorialisations that happen. The [Indonesian] dance community felt that these [new] curators were not from dance – how could they select shows if they were from economics or theatre? That’s where the first job of the curator is – to communicate to the local scene that you are with them, and not necessarily against them. CT: This reminds me of your tenure with SIFA as well. I think a lot of people were thinking, “oh my God, is he just going to curate the very avant-garde work that he’s known for”? And then they saw that you had work that also was very accessible and catered to a non-arts-going public, and so realised that it goes beyond personal taste. OKS: Every year, you have to win the trust of the audience, and win their trust without pandering to them. I think the difference is that you’re not catering to the audience – you’re building a dialogue with the audience. You’re encouraging a kind of growing-together. I think that’s the curator’s role. * Chinese-Malay-Indian-Others, a shorthand for the racial apparatus by which Singaporeans are categorised.